Having grown up on the coast of Maine, I have always had a love of the water. Despite exceeding all expectations with my successful practice in Wilson, I have decided to move my practice to New Bern on the North Carolina coast. This move is primarily for my family, specifically so my twins will have the same experiences, and more, that I had growing up to foster a love of the water. It has been a difficult decision, and one that was not made easily.The decision to leave Wilson has been difficult given that my wife grew up in the Wilson / Nash area, and we have formed deep, lasting ties with friends, family and the community. That being said, I believe New Bern is one of those "once in a lifetime" opportunities for me. I am certain I would look back on the opportunity with regrets if I did not take advantage of it. I leave with profound appreciation and gratitude to my patients. Without your support and trusting in my surgical skills, knowledge, and caring, none of my success would have been possible. 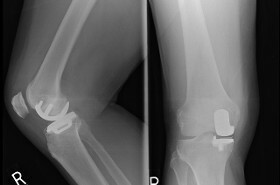 Few surgeons can claim to have done nearly 3,000 joint replacements in a career, let alone in less than a decade in practice. One of the factors in the decision to relocate to New Bern is its proximity to my current practice. New Bern is close enough that it should allow almost all patients, if they desire, to continue their care in my new practice. 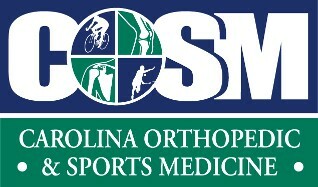 I will be joining Carolina Orthopaedics and Sport Medicine in New Bern, NC. 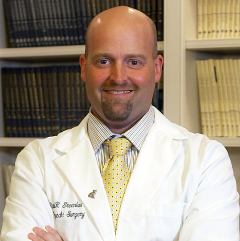 I will be operating at CarolinaEast Medical Center in New Bern, NC. The joint replacement center unit at this hospital has to be seen to be appreciated. It sits atop the hospital, nicknamed "the penthouse", and is the nicest joint replacement center I have ever seen. I will be starting there July 24, 2013. My family and I are extremely excited about this move and hope that you will join us in helping to build my practice there. I will be completing my elective surgery practice in Wilson in mid-May, with my last day in the office on June 28, 2013. COSM has three offices in New Bern, Havelock and Jacksonville. I will have the ability to see you at any of these locations. Surgeries will be done at CarolinaEast Medical Center in New Bern. The practice also offers 4 locations in New Bern, Havelock, Jacksonville and Morehead City for physical therapy after your surgery. I can also refer you to a therapist closer to your town. Rehabilitation placement after the hospital stay can be arranged locally or back closer to home, regardless of where you come from. Thank you for your continued support! Without my loyal patients, none of this would have been possible.